At a basic level, “metabolism” refers to the multiple chemical reactions that occur within the body, especially the ability to convert food into energy in the form of calories, according to Dr. Nancy Rahnama, a bariatric physician and internist in Beverly Hills, California. There are many factors that determine the amount of energy your body needs to complete essential functions such as digestion, breather and heart pumping. If you did no physical activity in a day, the energy it would take to complete these processes would give you your resting metabolic rate (RMR). Your rate is greatly influenced by your age, muscle mass and total weight. Lesser factors, but still important, that affect the metabolic rate are genetics, hormone levels and vitamin levels, as well as increases in physical activity. So how do I increase my metabolism? Building lean body mass (lifting heavy a** weights and eating food to support this) may help to boost the metabolism and keep it there even if at a caloric deficit. Weight loss isn’t only about metabolism, but can also be affected by hormonal changes, genetics, environment and even gut bacteria. Just because your metabolism may have slowed, you shouldn’t ditch healthier eating and give up. When you fall off a diet and start eating more (sometimes quite a lot more) your metabolism doesn’t just bounce back to where it was before, according to Candice Seti, PhD, licensed clinical psychologist, certified personal trainer and certified nutrition coach. 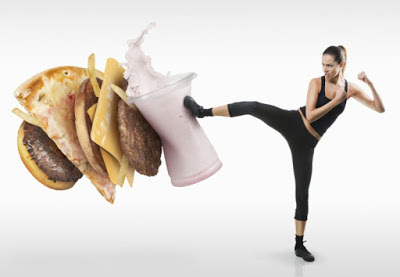 Yo-yo dieting can also cause hormonal changes that exacerbate the problem, she adds. The hormones that manage stress and hunger can get out of whack from frequent dieting. This can heighten your appetite and also convince your body to hold on to fat in case of another round of “starvation mode.” More hunger and less fat loss blends with slow metabolic function, making it likely that each new diet attempt feels harder than the one before (nope, it’s not just you!). Can you actually cause damage? To some degree, the answer is yes, because you may be keeping it down slowed with under-eating. Although research has yet to produce the magic secret for speeding up the metabolism, there are a few things you can do to begin reversing the damage. -Get plenty of sleep: Sleep deprivation or irregular sleep patterns have been linked to weight gain risk, including more snacking, increased craving, less willpower, increased stress, lower insulin sensitivity. -Cool it down at night: Studies have suggested that sleeping in a colder room (about 66ºF or lower) can boost metabolism by increasing “brown fat.” This is the kind of fat you want, says Seti, since it’s the type that attacks the visceral fat that’s often in the midsection. -Eat more protein: Containing the amino acids that support muscle mass, protein can be highly effective for keeping the metabolism going strong, says Dr. Rahnama. -Go spicy: Eating zesty foods can have a big impact on metabolism and its fat-burning effect. Spicy foods can boost metabolism for hours. -Do HIIT workouts: High-intensity interval training stimulates human growth hormone production, which burns more calories, Seti says. Also, these workouts create an oxygen shortage in the body known as excess post-exercise oxygen consumption (EPOC). This creates a substantial metabolic boost for your body 24–48 hours post-exercise. EPOC is one of the main reasons HIIT helps you burn so much more fat than simple steady-state cardio.